The event "Best out of Waste" organised by Nithu Bala (Nithu's Kichen) has taken me back to my childhood days, when my grandma would make sabjis out of anything and everything. It is really amazing that just with the garlic-ginger flavour (no spices added) this v.eg. can taste so good. It has high fibre content and is full of nutrition. Give the kids something nice like fried rice to go with it to make them eat this sabzi. Coriander leaves ... to garnish. 1. Wash the leaves well. Cut the leafy part and set it aside. 2. Cut out one inch pieces from the stalk and peel the outer layer. 4. Heat about 2 tbsps. of oil in a pan and add the ginger garlic. Stir fry until pink in colour. 5. Drain the stalks and add them. Add the green chillies and stir fry for 2-3 minutes. 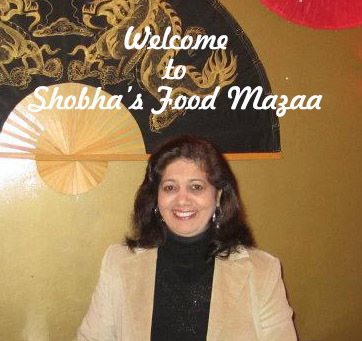 (No masalas are required for this stir fry) Garnish with coriander leaves. This makes an excellent side dish with anything. looks yummy..nice way to use the stalks..
Gud idea dear!too gud pictures dear,love the step wise presentation. so new to me!! delicious!! That must be really tasty! I would easily serve it as a side dish ;-) Love cauliflower too! 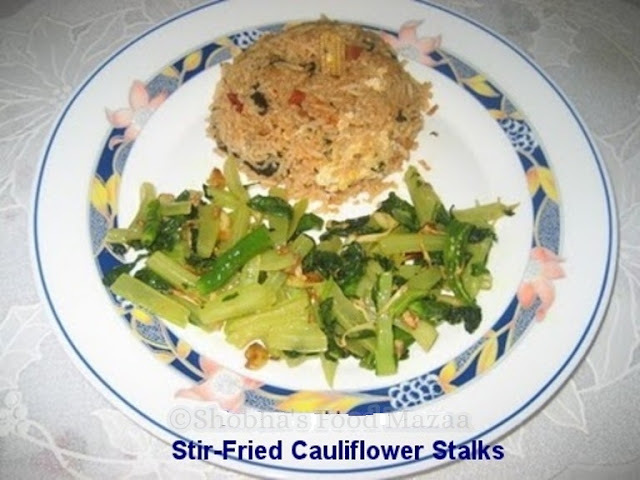 I always throw away the cauliflower stalks so now I know what to do with them. So good to waste less. Yes Nayna, I also try to make use of everything to avoid wastage.